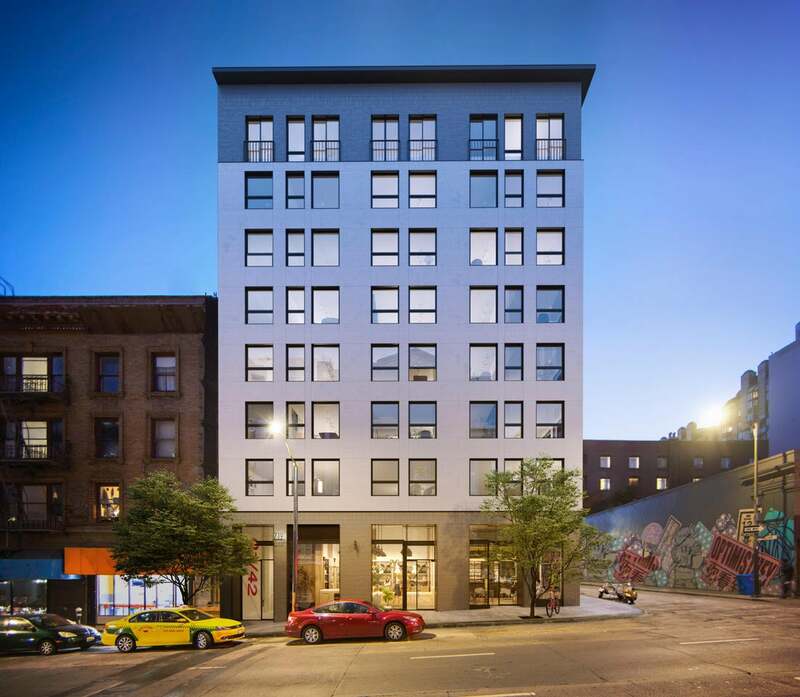 In a city known for its sky-high real estate prices, 719 Larkin by JS Sullivan Development is a breath of fresh air. Featuring one-bedroom flats approachably-priced from the $600,000s, this new mid-rise residence is a welcome opportunity for first-time buyers in San Francisco to get on the property ladder without sacrificing their urban lifestyle. There are several floorplans to choose from, spanning 539 to 688 square feet. Designed by San Francisco-based Alan Tse, the flats reflect a modern and minimalist aesthetic with refined lines, detailed finishes and natural elements. Kitchens boast Smeg® gas ranges, Bosch® dishwashers, quartz countertops by Silestone®, Grohe® fixtures and sleek cabinetry with LED lighting. 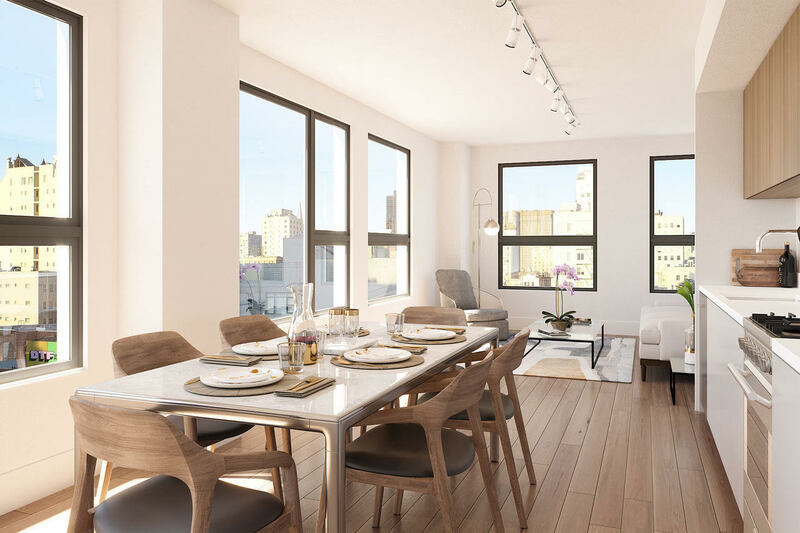 White oak hardwood flooring runs throughout the living and dining areas, and six-foot windows with contrasting black frames allow natural light to flood the interiors. Bathrooms are clad in white subway and veined field tile, warmed up by floating vanities. Designer fixtures by Grohe® and porcelain bathtubs give these relaxing spaces a high-end feel. Front entry doors are equipped with Latch™ Keyless Smart Locks, providing peace of mind, and select flats feature Juliet balconies to bring the outdoors in. 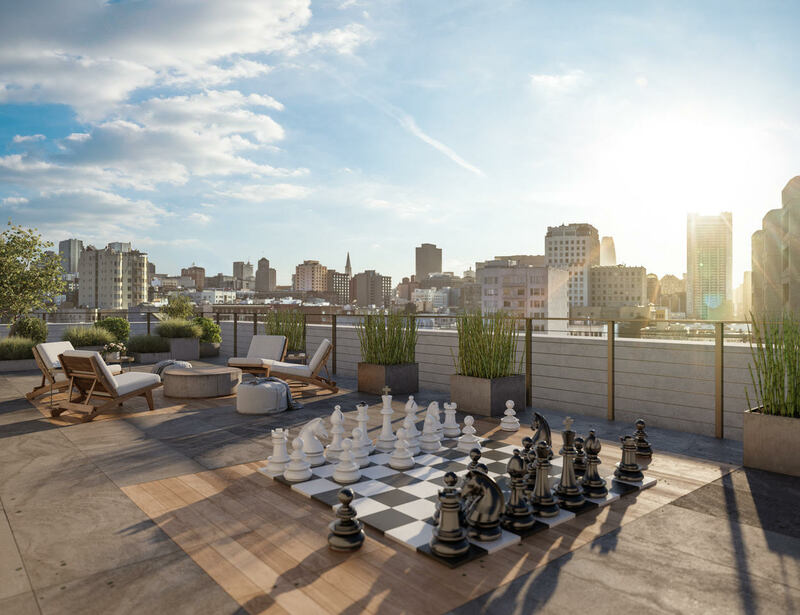 719 Larkin’s curated collection of amenities includes a scenic rooftop retreat with a barbecue, wet bar, dining area and comfortable lounge seating. Take in sweeping skyline views while entertaining friends and family in style. Additionally, onsite bike parking and storage lockers allow residents to free up much-needed space in their flats. Little Saigon is a lively pocket of San Francisco’s Tenderloin neighborhood. What it lacks in size it sure makes up for in cuisine and culture — the area is brimming with bars, cafes, art galleries and delicious eateries ranging from a pork-focused Asian fusion joint to a New Orleans-style breakfast and lunch spot. At 719 Larkin, you’ll live within walking distance of downtown and SoMa, but if you need to venture out a little further, you can always hop on an electric Jump bike or ride Muni. Needless to say, you’ll be well-connected and well-fed if you choose to call Little Saigon home. Sales commence soon at 719 Larkin. Get pre-approved today and you’ll be among the first to tour the fully-furnished model flats. For more information, please visit 719larkinsf.com or call 415 767 5181.